After reading some comments on various blogs, specifically regarding this post, I decided to do some research on lancing devices and lancets. I don’t know much about the Accu-check, but hearing the rave reviews of the Softclix, I think I’m going to get it. I was also very surprised about the BD Ultrafine 33 lancets. I hadn’t really given a thought to lancet gauges, so when I found out that my Freestyle Flash lancets are 25 gauge, my jaw dropped! So huge! Why was I doing that to myself?!?! UPDATE: Does anyone know if the BD lancets will work in the Softclix? I can’t find anything online about compatibility. I don’t have a spare meter (I’ve been meaning to get one), but I will of course bring the one I do have. I’m also not sure what I should about the insulin. I know it needs to be refrigerated, but I hate being a pain when I’m visiting people and saying “hey, can I store this in the fridge?” I don’t want other people touching my stuff or doing stuff to it. I also don’t want to impose. I don’t want someone to have to shove stuff out of the way so I can fit my giant bag of supplies in the fridge. I should have just bought a Frio bag, but I was too late. Any suggestions? Also, did I forget anything? Gah, I’m so nervous. I have two haiku for you: one with a good ending, and one with a not-so-good ending. tells me how I am doing. Hopefully today will be like the first haiku. So far, so good. Diet soda linked to diabetes? I just read this article about a study that links diet soft drinks to diabetes and cardiac risk. They say “…people who consumed more than one soft drink of any kind a day were 44 percent more likely to develop metabolic syndrome than those who didn’t drink a soda a day.” It didn’t matter whether it was regular or diet. However, one thing to note is this: “‘But we cannot infer causality,’ Vasan said, meaning there is no proof that soda itself is the villain. ‘We have an association. Maybe it is a causal one or maybe it is a marker of something else.‘” Correlation does NOT equal causation. More studies are definitely needed, but if they decide that diet soda is bad for diabetics, then what am I left with? Water? Ugh. 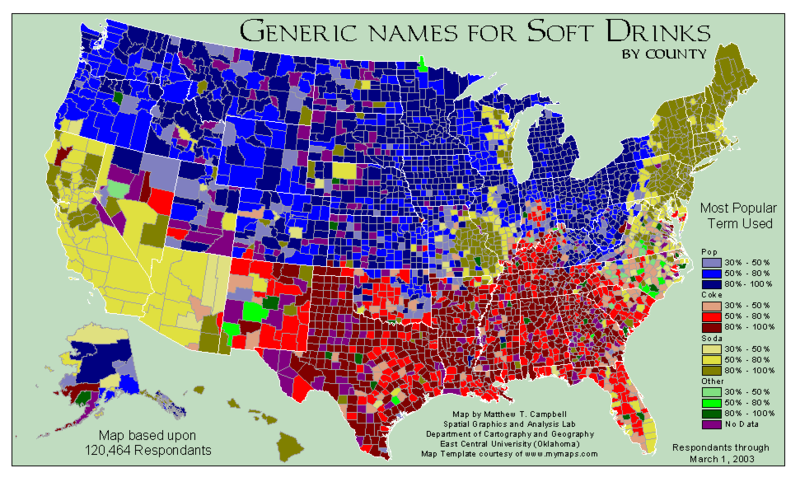 Relatedly, I do call it soda. Guess where I’m from. It was site-change time last night, and I found the last feasible spot on my belly. Insert. No real problem. But then it started hurting. =( It didn’t go away, so I make the executive decision to pull it. Sure enough, a medium-ish dot of blood surfaced. I had hit some sort of artery or vein or whatever. Good thing I pulled it. However, that left me with no real space left on my belly. I’m pretty small, so there’s not much real estate there. I checked for what other places I could use, and one of them said hips. Brilliant! Being a young female, I have plenty of squishable hip space. =D I was super nervous though because I’ve never used my hip for any injection of any sort. But, to my surprise, the hip was even easier than my belly! The only downside is that it was a minor pain to sleep on that side, but I hardly noticed. Also, there isn’t really that much space on my hips. I might be able to get 2 sites out of each hip before I have to try something else. I’m nervous about trying my thighs because while I do have semi-large thighs, they seem pretty muscular. 1) I wouldn’t want to hit muscle and 2) my pants tend to be tight in the thighs (since they’re kinda big), and I wouldn’t want the site to rub. Oh well. That’s a problem for another day. I had my first endo appointment today. The wait was waaaay too long, which I should have anticipated. The lady at the front desk asked if I had my meter with me (which of course I did). I handed it over to her, and she plugged it into her computer and started downloading stuff! Without asking me! I felt like my meter was being raped or something. Dude, that’s personal information in there. Well, there goes my 14 day average. =( I was doing great, then Saturday came around. We were having some friends over to play some games, so there were chips, cookies, and the dreaded pizza. My blood sugar was fine at 3:30 (when people started arriving), but then it went downhill (well, uphill, really) from there. I didn’t go below 180 until just now (note that it’s 10:00 the next day). Ugh. I serial bolused like crazy, but could not bring it down. I finally had a normal breakfast this morning, and my post-prandial is at 164, so I think I’m finally back to normal. Stupid food. Grrr.